Rosé? Beer? A refreshing spritzer? Whatever your tipple of choice, day drinking is one of the welcomed perks that come with warmer weather. And now that it’s finally arrived, we can start heading to Auckland’s best bars and restaurants for bevvies in the sunshine. Nothing spells summer like a midday vino, and to launch you into day drinking season, we’ve scoured the city for the best places to do it. We’ve heard numerous stories of lads ‘accidently’ spending 6+ hours at this City Works Depot craft beer lounge. If you’re going to do the same this summer, bring your drinking A-game—Brothers Beer certainly know how to pour a good lager. Take it from us and don't stop at one. Drinks in a garden = summer in a nutshell. The Commons has created a wicked new courtyard to fill your belly with grazing plates and quench your thirst with jugs of alcohol. Auckland knows day drinks—don't be doubting the city of sails. Ponsonby Road's MR TOMS is doused in sun—like all day drinking spots should be. Transport to tropical town with the 'in love with the coco cocktail'—repping nothin' but coconut tequila, cucumber, grapefruit, lime and mint. Now sip your way through the rest of the cocktail menu and thank us later. 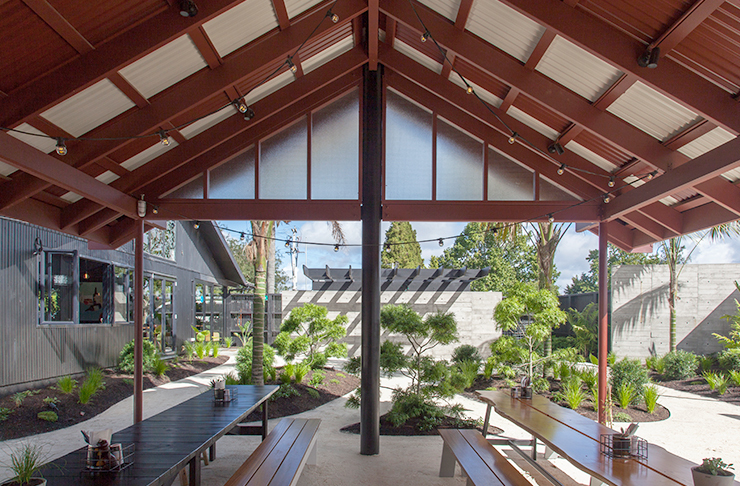 We may have crowned it one of the best places for outdoor eating in Auckland, but it’s also a mighty fine spot for drinking. Citizen Park’s courtyard gets plenty of sunshine, and since it’s dog friendly, bring ya pooch. Like any good outdoor drinking spot, it's somewhere you arrive at 1pm and stumble onwards at 11pm...if you can walk. 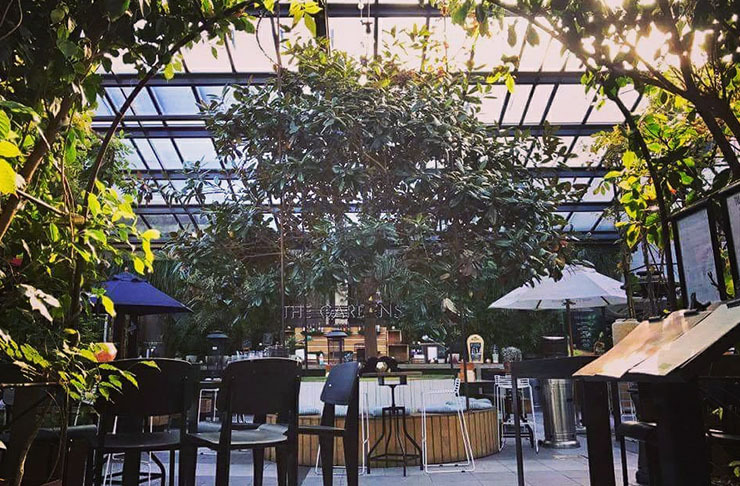 One of the best bars in Auckland is The Glass Goose, where you can spend a sunny arvo munching on charcuterie and drinking cocktails. The drinks menu is loooong, boasting everything from a Mad Hatters cocktail to a dark chocolate negroni. Hell yeee. 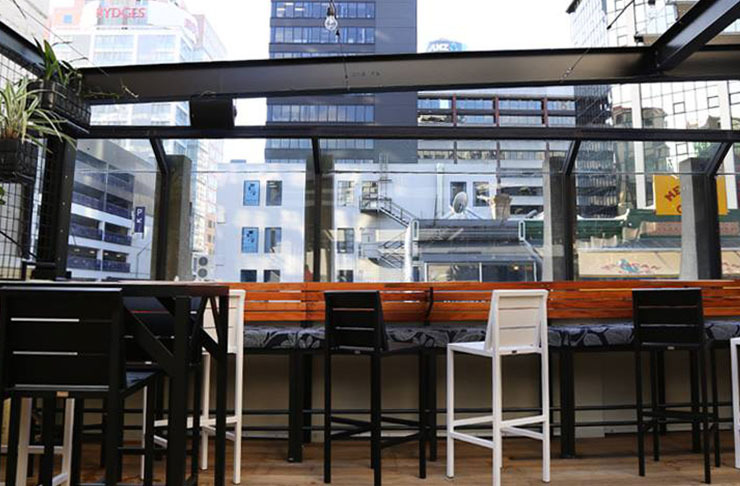 The sunniest deck in Auckland, La Zeppa will take you from day to night… and you’ll want to last that long so pace yourself, keen bean. Plus, anywhere boasting tapas AND platters is pretty much the perfect spot to drink. The ever-popular Swashies is literally on the water’s edge. They’ve got a great wine and beer selection, plus a cracking seafood menu. Be sun smart and bring the SPF. The outdoor wooden tables call for a brew or seven. You know that person who conks out at 3pm because they forgot to line the tum? Yeah, don’t be that person. Grab a seat outside at Jack Tar and gobble down a burger while sinking a few brews. Share a pizza or an infamous Jacks burger to be safe. Yeah, yeah, we know we don’t stop ranting about how frickin’ amped we are for Hallertau’s beer garden, but this list would be incomplete if it wasn’t included. In the meantime, head here for jalapeno poppers and pilsner. 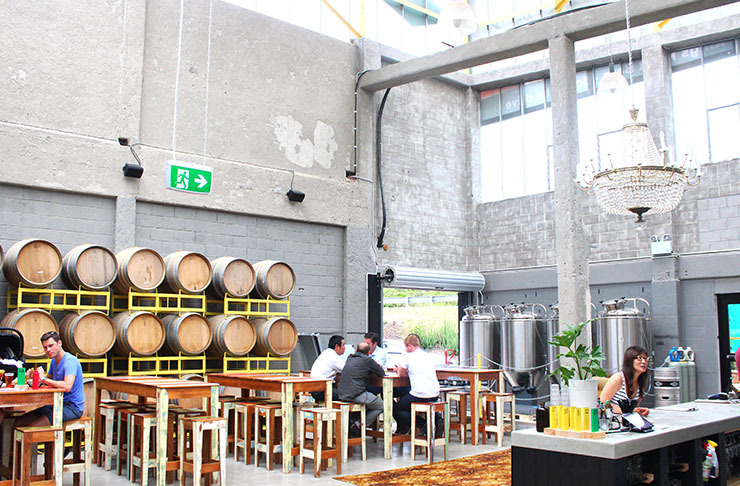 It may be the best summer drinking spot in Auckland.